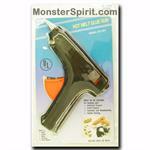 Monster Spirit Home Page > Supplies - Staplers Etc. 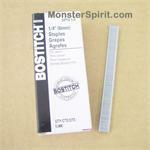 Monster Spirit has all the supplies for you to start and complete your homecoming mum or garter project. 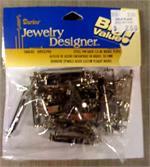 We sell staple guns, glue guns, hot glue, pipe cleaners, wire, corsage pins, magnets, velvet tabs, and lots more. 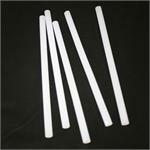 Make your football mum and easy to handle project with the right supplies. 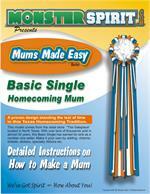 Our Secret Recipe for making the Basic Single Homecoming Mum is now for sale. This is a step by step guide to making the mum we have sold over 100,000 of. 10 pages. 2" White Pearl Head Corsage Pins - 144pc. Ribbon - Velvet Ribbon #9 - 1.5"x25yds - Perfect to pin mum on with. This is the ribbon we use to make "tabs" with. Cut 5-6" - fold in half and staple. Put corsage or safety pin through and hot glue and staple to top of mum backing. 40 count 1.5 inch steel pin backs. 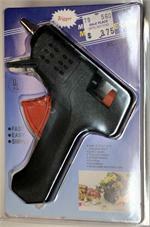 Mini Glue Gun. Uses Mini Glue Sticks. 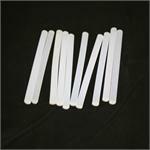 5 count Standard Hot Melt Glue Sticks 10"